"If I sent everyone in this class home with the same recipe for cookies, would all the cookies taste the same?” asked solid dose expert, Mike Tousey, during his recent Techceuticals “Manufacturing Process” training course. Knowing my own habit of carelessly mixing ingredients to the point where they actually take flight out of the bowl, I immediately knew the answer here was “no.” The reality is, even if everyone follows the same recipe, variables in environment, ingredients, equipment and skill still exist. While cookie individuality isn’t always a bad thing, when it comes to solid dose manufacturing, the goal is consistent, reproducible results. After decades spent perfecting the craft of tablet making, manufactures (and patients) continue to favor the familiar, accessible oral solid dose format. Despite the increasing number of injectable biologics, solid dose products are a proven pharmaceutical market mainstay. According to GoodRx data, the top 10 drugs based on monthly prescription volume in the U.S. are solid dosages. On the innovation front, 2017 saw the percentage of solid dose new molecular entities (NMEs) approved by the U.S. Federal Drug Association jump from 32 to 50 percent. Success in solid dose manufacturing comes not only in creating and following the “recipe” for the right formulation, process and equipment selection, but in understanding how to make adjustments when variables threaten product quality. It is within these small details that properly trained and experienced operators can make a big difference. Despite the frequently discussed concept of a fully automated, “hand’s-off” drug manufacturing process, there is still some art left to crafting high-quality tablets. Prior to 1978, drug product quality and sterility was based solely on finished product testing. Terms such as “validation” and “protocol” didn’t exist until the FDA introduced changes to GMPs. Historically, tablets relied heavily on the specific operators involved in making them, and as such, process adjustments were often made on the equipment present in one particular plant. This means that for many legacy solid dose products, decades of manufacturing resulted in “know-how” that was plant or operator-related, and documentation associated with development and technology transfer is not robust enough to satisfy current regulations. “Legacy products are often difficult to validate — because they weren’t designed with validation in mind,” points out Lee Karras, CEO, Halo Pharmaceutical. Halo, a contract development and manufacturing organization, is often tapped by pharma manufacturers looking for someone to step in and “refresh” the process for these older drugs. Fortunately, the industry has seen significant advancements in areas such as GMP regulations, raw material reliability, analytical tools and equipment automation, all of which have edged the industry closer to a manufacturing process that is less susceptible to human error. In a recent presentation at INTERPHEX 2018, Dr. Ian Jones, founder, CEO and Chris O’Callaghan, senior product manager, Innopharma Labs, discussed the idea of “intelligent batch manufacturing.” A “smart batch,” said O’Callaghan, involves using algorithms and controls to retrofit existing batch processes. The Dublin-based company’s newly launched advanced manufacturing program lays the groundwork for self-guided coating and granulation processes, using Process Analytical Technology (PAT) to track critical process parameters and the product’s critical quality attributes during manufacturing. Applying PAT concepts to coating helps manufacturers overcome variability and achieve the same coating characteristics every time. BUT WHAT ABOUT CONTINUOUS MANUFACTURING? For years, the pharmaceutical industry has been abuzz with the promise offered by continuous manufacturing. In theory, continuous manufacturing would mean an uninterrupted, automated process from powder to finished tablets, resulting in numerous benefits, chief among them less chance for human operator error. The FDA has sung the praises of the continuous process, encouraging manufacturers to make the switch from batch to continuous, and noting the potential for improvements in speed, flexibility and quality that come with adopting this emerging technology. “By eliminating breaks between steps and reducing opportunities for human errors during the stops and starts in the batch process, continuous manufacturing is more reliable — and safer,” said Lawrence Yu, deputy director, Office of Pharmaceutical Quality at CDER, in a 2016 blog post announcing the agency’s first approval of a manufacturer’s change in production method from batch to continuous manufacturing. In fact, many aspects of the solid dose manufacturing process are already considered “semi-continuous” — meaning the specific unit operation is being performed continuously, but only for a discrete time period. Examples include continuous roller compaction, tablet compression and tablet coating. Continuous roller compactors, for example, feed powder into the compaction area and output compacted sheets. These compacted “ribbons” are then milled to produce granules. The granules can then be passed directly from the compactor to a blender, and from there to a tablet press. But end-to-end continuous processing in the solid dose world still faces manufacturing and development-based challenges. Throughout his recent hands-on training course, Tousey demonstrated several challenging scenarios that are difficult to overcome with a continuous process. For example, different ingredients have different absorption rates when it comes to wet granulating to form granules. Ingredients that require longer exposure, more heat generation and kneading to form granules do not lend themselves to a continuous process as much as ingredients that readily take on the binding solution and form granules more quickly. Also, many tablets take 24 to 48 hours to stabilize after compression. The higher the force to compress a tablet, the hotter they tend to get. As the tablet cools and energy is released, the tablets change: most get harder, some get softer and almost all of them contract. If a coating is applied too soon after compression and the tablet is still changing, the coating can crack, peel or frost because the moisture and energy hasn’t been released. While the industry continues to debate the feasibility of overcoming such processing challenges, and contemplates what would be a significant shift in operating philosophy, today’s solid dose reality is batch manufacturing. As long as batch remains the norm, human operator intervention still plays a role in the quality level of tablets. While validated, established procedures are crucial to the batch manufacturing process, they don’t guarantee success. Many advocates for process training are quick to point out that if operators blindly follow procedures without understanding why those steps have been put in place, it sets a precedent that discourages problem solving when something out of the ordinary occurs. And as Tousey points out, it’s not uncommon for scenarios to arise in tablet manufacturing where established procedures are not robust or detailed enough to allow for consistent performance. It is here that operator experience matters. Halo Pharma considers operator tenure a pivotal contributor to their company’s success. “Our operator tenure at Halo is 10 plus years in pharmaceutical production. As a CDMO, we live by the performance of our operators,” notes Karras. In solid dose manufacturing, the tablet press is often referred to as the “manufacturing report card.” While products can “go bad” long before they reach the press, it is on the tablet press where problems are often first observed. Changing raw material properties lead to variations from batch to batch, and these variations affect how the product behaves on the tablet press. And while a tablet press operator cannot control the formulation or granulation of a product, understanding these properties can help an operator adjust quickly and accordingly, and possibly turn a not-so-perfect blend into a good quality tablet. For example, a skilled operator can recognize a change in granulation (such as too much or too little moisture) often by the sound of the tablet press. A dryer granule with a higher percentage of fines may require more force to compress. This granulation runs harder and louder than one that has a higher moisture content and fewer fines. A trained operator can make adjustments within parameters to achieve the desired results. These adjustments could include changing punch penetration, pre-compression force, main compression force, feeder speeds, or tablet press speeds, based on changes in the granulation. “A new operator wouldn’t know what to do first when there is a change in the granulation. An experienced technician would make changes based on the nature of granulation and the performance of the tablet press,” says Tousey. Experience starts with training. According to Tousey, good tablets stem from good formulas and processes, as well as properly trained technicians. In solid dose manufacturing, the old adage of “beginning with the end in mind” is actually reversed — a successful ending (a blend that uniformly compresses into a tablet) is actually the result of a detailed understanding of how the product began. Training can enable operators to “end with the beginning in mind,” helping them understand the physical characteristics of raw materials and how these materials interact with each other and react to the process. This type of comprehensive training can mean the difference between having someone who is merely running the tablet press and someone who is a true tablet press technician. Indeed, most modern tablet presses can automatically adjust parameters such as tablet weight — however quality problems still persist. Trained operators can assess factors such as the production variation and machine and tooling conditions, and make adjustments within a range of critical process parameters. “Our operators have the skills needed to make decisions and assist with troubleshooting problems on the shop floor. In many cases, they can fix issues ‘on-the-fly’ due to the fact that they have a more intimate relationship with the equipment they operate. As a result, we empower them to make decisions but also train them to know when to raise their hands and escalate for advice and guidance from our quality, tech ops or formulators,” says Karras. To Karras’ point, responsibility does not just fall on the operators. Quality, as we know, is everyone’s job. This is why training courses, like the one offered by Tousey at Techceuticals, are often designed for the entire team — from development to packaging. Helping the entire team to understand details such as powder properties and characteristics, different unit operation pathways, and equipment and tooling functions will facilitate a comprehensive understanding of the small details needed to see big- picture success. 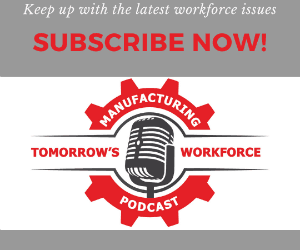 “Having this information will create a common denominator; thus producing an opportunity for better communication between manufacturing groups,” says Tousey. The solid dose sector has survived the test of time in the industry. At the end of the day, success is being able to consistently make a product that performs both on the tablet press and in the human body. For select companies and products, the path forward is a giant leap into continuous manufacturing. For many others, the answer is a smarter, more refined batch process. For most solid dose manufacturers, the key is finding the right balance between manual and automated processes, and properly training operators to make adjustments when issues inevitably occur. Each step in the manufacturing process, from material sourcing to final packaging, introduces variables and thus opens the door to potential quality issues. Arming your team with a comprehensive understanding of every phase of the process — helping them understand how and why raw materials drive process and equipment choices down the line — exponentially increases the likelihood of success. As the solid dose sector pushes itself to gain a more precise understanding of the important characteristics of ingredients and equipment, this overall enhancement in process understanding will result in higher quality, more evolved oral solid dose products.